....is one of my favorite parts of bringing a creation to life. From the colors of a bird to the skin of a doll, each step is a conscious decision that determines what character will come into the world. 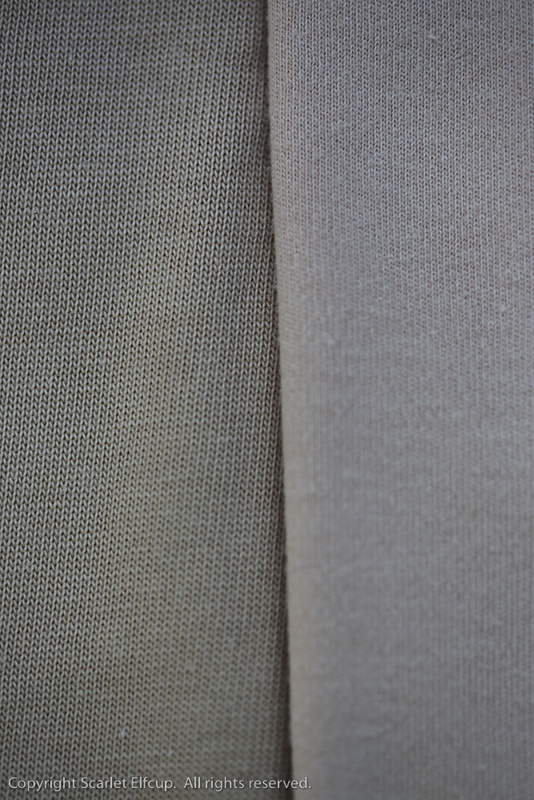 In doll skins, the choices range not only in tone but even within two similar tones, a decision can be made between the weave of knitted fabric. Doll skins commonly come in either a jersey knit or an interlock knit. If you are a knitter, you are familiar with the right side and the wrong side of the garment. 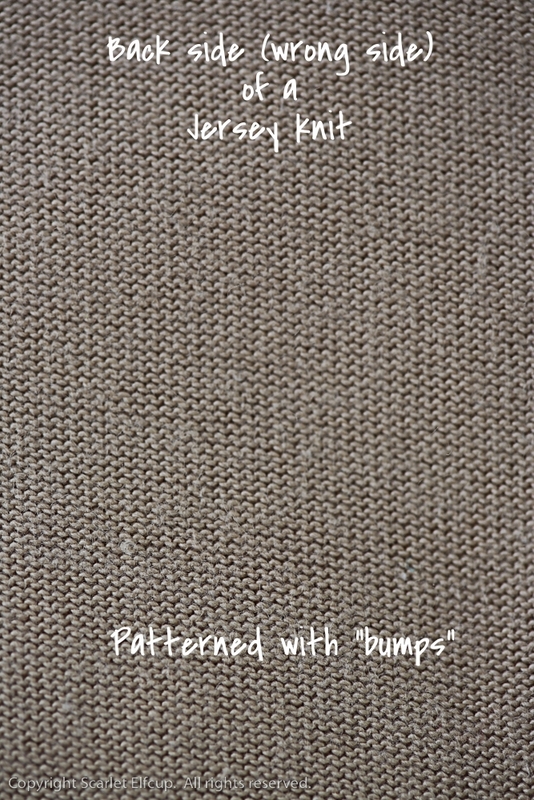 A jersey knit is characterized by this difference...the front (or right side) of the fabric is patterned with the knit stitch (the characteristic "V") and appears smooth while the back side (or wrong side) of the fabric is patterned with the purl stitch, giving the appearance of bumps on the surface. 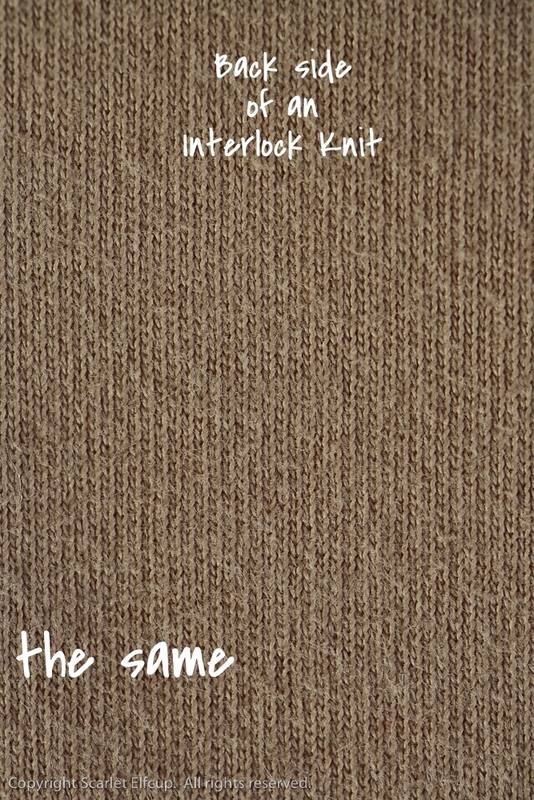 Interlock knits reveal that both sides of the fabric are the same. Both sides show the knit stitch. Interlock is thicker and more stable than jersey, which means it doesn't stretch out of shape as easily and it doesn't curl at the edges, making it easier to manage. 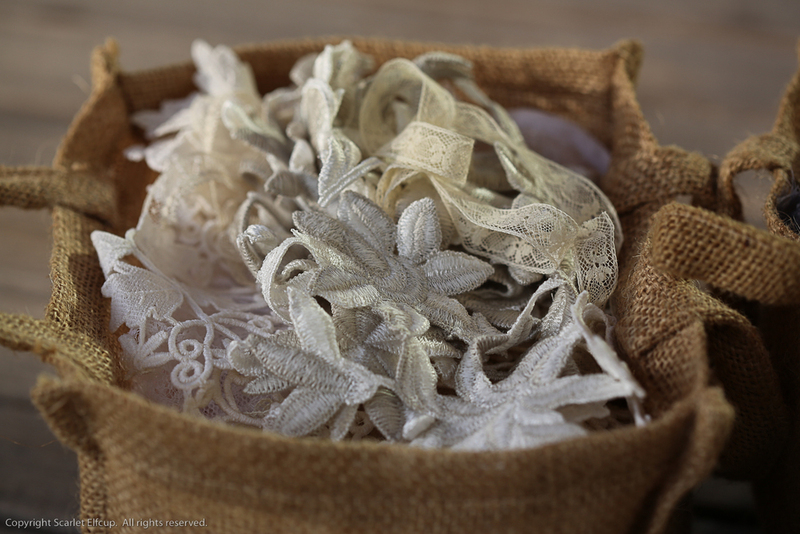 The choice in doll skin fiber is really up to the maker's personal preference and up to the type of use for the fiber. Perhaps, on a doll, where firmness and structure must be held in the face or certain parts of the body, then an interlock knit may be used. If one needs more flexibility and give, such as that for stuffing pudgier bellies and bums, then perhaps a jersey knit may be used. 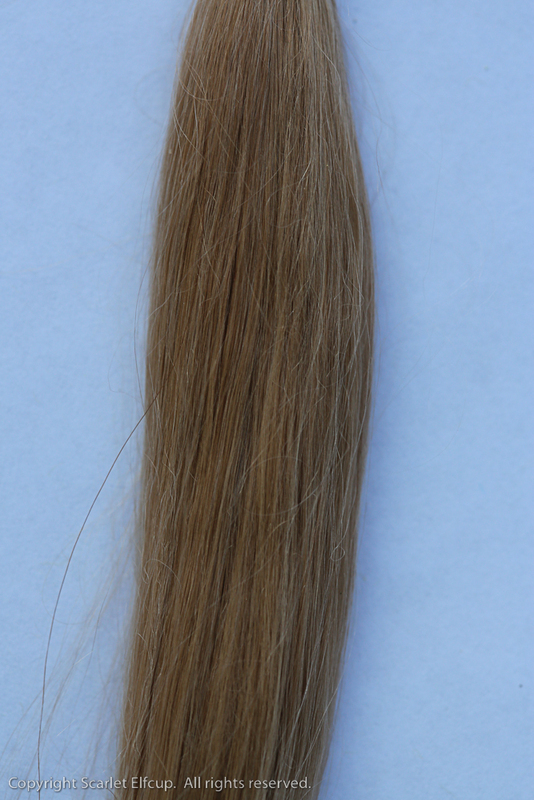 Next, we speak of hair fibers and colors. Here too, the options are endless...there is yarn (hand-spun, hand-dyed, natural), alpaca, mohair, Teeswater, Wenslydale, Tibetan lambskin, raw or processed, and on and on it goes. Since my intention here is not to give a lecture on hair fiber, but rather to explain the process in bringing a creation to life, I won't bore you too much with details about hair fiber. So, for practical purposes, I will simply mention a couple of options and speak here only in terms of the next doll to come to life. For our upcoming darling, a 6" Wee-Bee Mini Elfcup, I am working with her mama to give her very long locks. In order to achieve this look, we will work with suri alpaca over mohair yarn or even mohair locks for suri alpaca is extra wispy and ultra soft and long. Then, there is the decision about raw vs. processed alpaca. Again, here it is left up to personal preference as you can see the aesthetic effects are different. 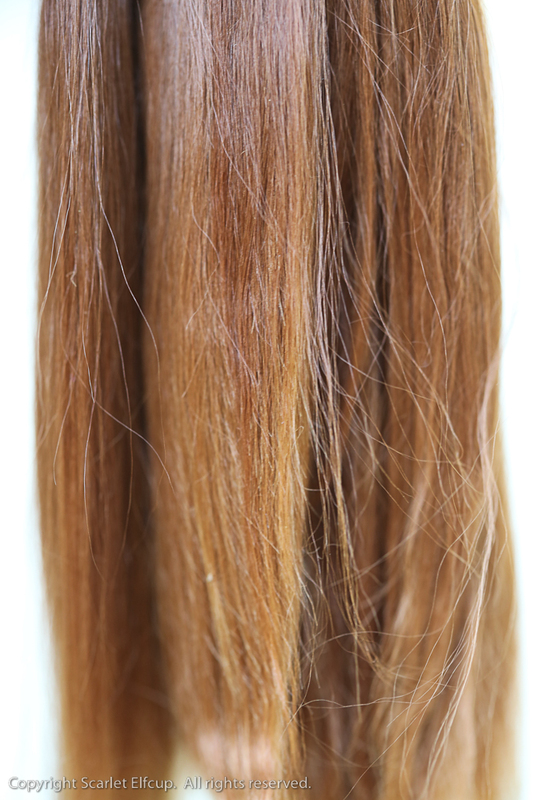 Next is the decision between shades of hair color....lighter vs. darker. Who is that you see coming into the world? NOW, let's talk about fabric choices for a doll's clothing.....my most favorite bit of the process. Oh me! Oh my! 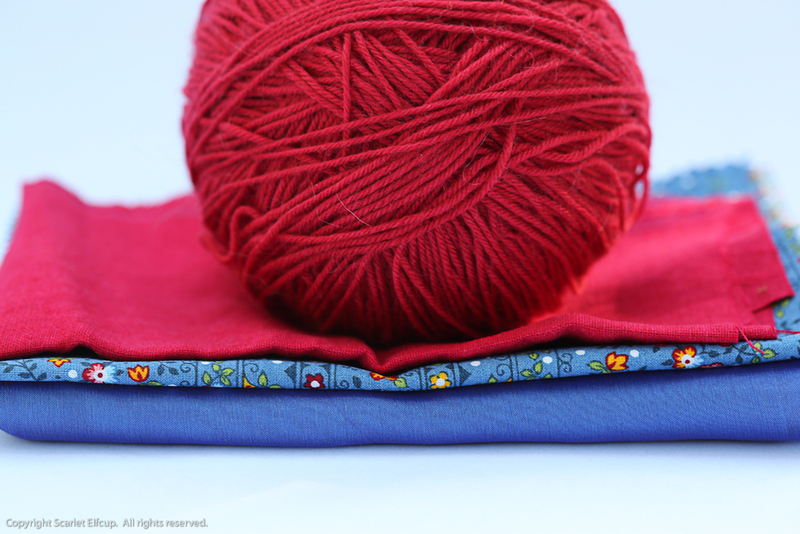 When it comes to fabric selection for a doll's clothes, the options and choices are infinite. And as with all else, the end choices are really up to personal preference...do you love neutral, earth-toned colors...soft and quiet? OR do you love deep, dark, rich and vibrant!? But, it isn't always as simple as that. Knowing what you prefer is the easier part. Knowing how to balance is the tricky part (quite like life, don't you think?). 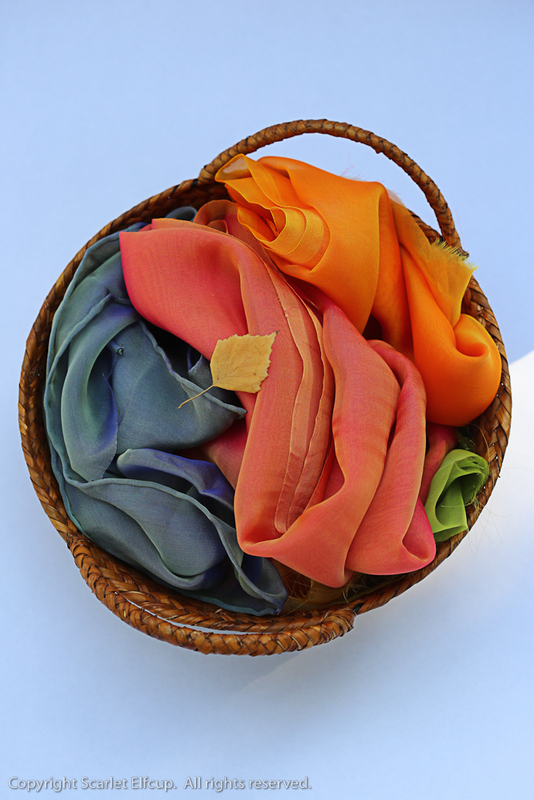 Even if you have succeeded in choosing the colors of your liking, you now must balance the colors, textures and patterns. Too many patterns involved and you make out with a very BUSY body. Not quite enough of the boldness or the prints and you make out with something rather BORING. In order to achieve balance, just the perfect touch of patterns, textures and colors are needed. Then, even once you've achieved this part, there is the decision about which fiber to use...will you go with the mustard linen fabric (shown at the bottom of the stack) or the mustard corduroy fabric (shown at the top of the stack)?!! The one you choose will make the difference between a wintry look under warm corduroy and a summery look under cool linen. Or perhaps you are not trying to achieve either look but you just love one over the other. 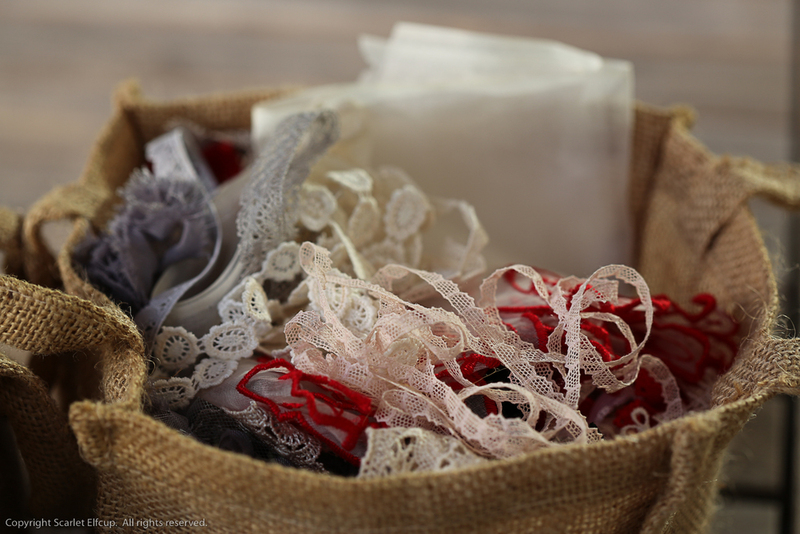 You see, this can go on and on forever because after all that, there is now the business of picking out the pretty little things, such as trims....an entire beautiful beast of it's own. And even after the final decisions are made, you may find that the doll or critter to come to life is really a result of one person's whimsy vs. another person's. And no matter how much logic we try to define in the process, it really boils down to individual preferences and as such logic makes no sense at all. With that, I leave you to muse about the next doll and hummingbird to come to life.